American brands dominate the Deloitte list of top 250 retailers in Australia. Deloitte says 82 per cent of retailers operating in Australia expect earnings to grow in 2016. There is a lack of Chinese influence on the Australian retail sector. Australia is becoming an increasingly attractive market for international brands, according to Deloitte. Deloitte's annual retail report, the Global Powers of Retailing has revealed that 39 of the world's top 250 retailers are currently open for business in Australia. 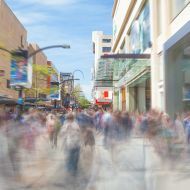 American retailers currently dominate the Australian retail market, accounting for 46 per cent of the top 250 retailers currently operating in Australia. Second on the list are French retailers (13 per cent) followed by a host of countries including Australia, Germany and the United Kingdom on five per cent. 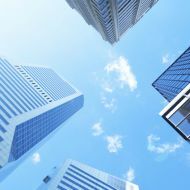 The survey also revealed that 82 per cent of retailers operating in Australia expected their earnings to grow in 2016 with 41 per cent expecting earnings growth to exceed five per cent. Deloitte partner David White said the Australian market was in relative terms "unsaturated" by the world's biggest retail brands and China was conspicuous in its absence given the huge volume of Chinese-produced merchandise already on sale in Australia. At present only nine of the 250 brands are Chinese in origin, but it is worth noting these include two of the biggest online performers - Alibaba and JD.com - both of which have not yet directly entered the Australian market with a bricks-and-mortar store. David White said “At the moment the strength is around online retail in China, their two biggest retailers are both online performers and are well placed in the top 50, fastest growing retailers globally. The likelihood that these retailers will expand into physical stores in Australia is the next logical step. "The advantage of coming to a country like Australia is it's not a huge market so the investment wouldn't be as high if they were looking at Europe or America and geographically Australia is close as well." Deloitte's survey highlights the growing importance of digital technology on the rapidly evolving retail landscape, with more shoppers embracing cultural trends and gaining access to technology that will allow them to be 'connected' 100 per cent of the time. This poses a critical challenge to retailers, said Deloitte. In order to stay relevant in today’s marketplace, retailers must understand the evolving digital needs of their customers and improve their ability to anticipate and shape the needs of tomorrow. The data also reinforces the reality that retailers are underestimating – or at least under-delivering on – the consumer’s evolving desire and ability to incorporate digital into their in-store shopping journeys with 65 per cent of shoppers saying they use a digital device before shopping and 31 per cent while shopping. Deloitte said retailers need to understand how to harness this digital influence to increase conversion rates and order sizes. It said Australian consumers who use digital devices to research, find and compare products – before, during and after shopping in-store – can boost both average conversion rates by 25 per cent and order sizes by 21 per cent. It warned that retailers who fail to embrace digital and remain where they are they will be left behind. Has the bubble burst for Australia's economy?